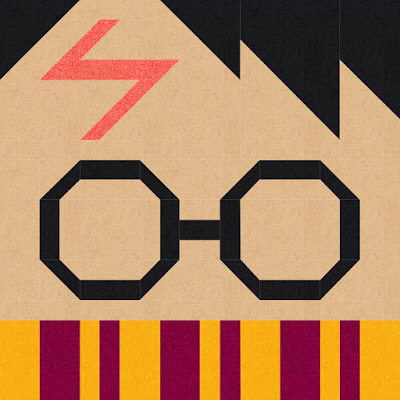 Welcome to the first block post for the EPIC Harry Potter Quilt Along 2019! Today is Week One in the Block instructions for piecing the Harry Selfie block! STOP: Stitch, Trim, Open & Press. 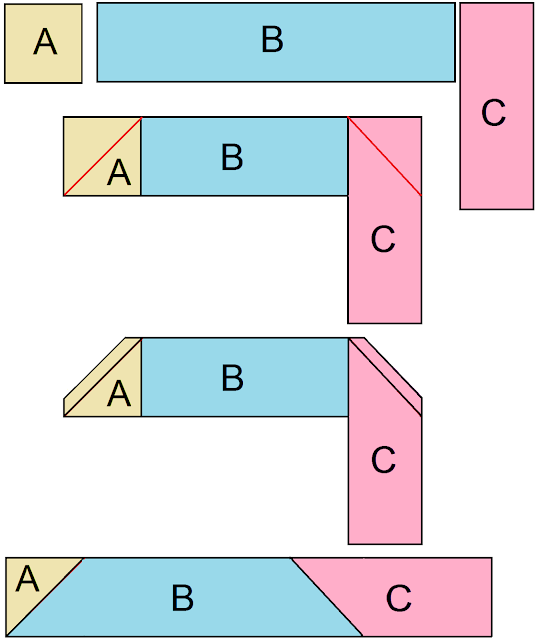 Align a square (A) or rectangle (C) on the corner of the UNIT (B) with right sides facing together. Draw a diagonal line from corner to corner and sew along this diagonal line. Trim a ¼” seam. Finger press the seams open and then press with a hot iron. Press the seams open to reduce bulk. 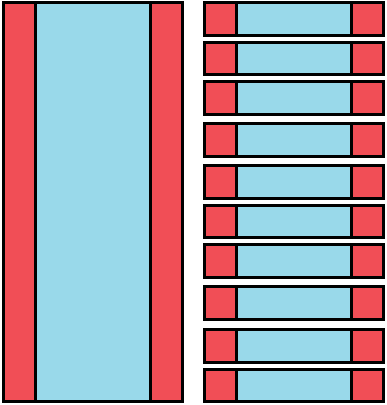 Strip Piecing is performed by sewing the fabric strips along their length, as shown with the blue and red diagram. Press the seams open. Trim end flush and crosscut strip set into specified widths. Please note that the fabric squares should be sandwiched with right sides facing together, and line up on all sides as accurately as possible. The diagram does not show this accuracy for demonstrative purposes. Draw a diagonal line across the wrong side of the Print square. This is your guide line. Place the Print square on the Background square and sew a ¼” seam on EACH SIDE the guide line from edge to edge, as shown in red. Cut along the guide line. Press the seams open and trim each of the (HST) to the size indicated in the instructions. Using a 1/4” seam, sew the 1L unit to the BLUE LENS, BUT stop 1/4” from the end of the seam, indicated by the red *, and backstitch to lock the threads. Sew the 2L unit to the other side of the BLUE LENS, BUT stop at the same place you did while sewing the first seam, and backstitch. Fold the BLUE LENS along the diagonal with right sides facing together. Align the ends of the 1L and 2L together, marking the diagonal from the red* to the corners of the ends. Starting at the same place you stopped when sewing on the 1L and 2L units, stitch a few stitches then backstitch, and sew along this diagonal line to complete the mitered seam. Trim seam to 1/4” and press open. Use a 1/4” seam for piecing. To download the HARRY SELFIE printable PDF, click here.